All this talk about the 70th anniversary of Indian partition sent me looking through old photographs. I knew, of course, that Daddy had been in India around that time. I knew that he'd been called up for National Service almost as the war was coming to an end in Europe and when gathering albums and boxes of treasure when Mummy died, I'd tried to sort things roughly into topics, thinking that the time would come when I'd want to do something more with it all. He'd always been a keen photographer and there were so many photographs to look through. The Indian pictures were different, though. Smaller, more detailed and each one carefully annotated on the back with a date and place. I don't know if they were taken with his own camera - he features in several, so perhaps not. Maybe he developed and printed them himself? I have no idea. What I have, however, is a much clearer record of where he went and what he did than I knew. My first question was, what was his regiment and his service number? I remembered it being something Dragoons, and that was confirmed as soon as I found the Regimental Journal there in the bag. There were more details on the back of one of the photos, too. Clearly intended for Mummy (they were courting as he left for India), I wonder if it was posted home to her? That might explain why there are two copies of several of the photos - but again, I don't know for sure. I found everything else I needed to know in this small, brown Soldiers Record Book, which I can't remember seeing before. 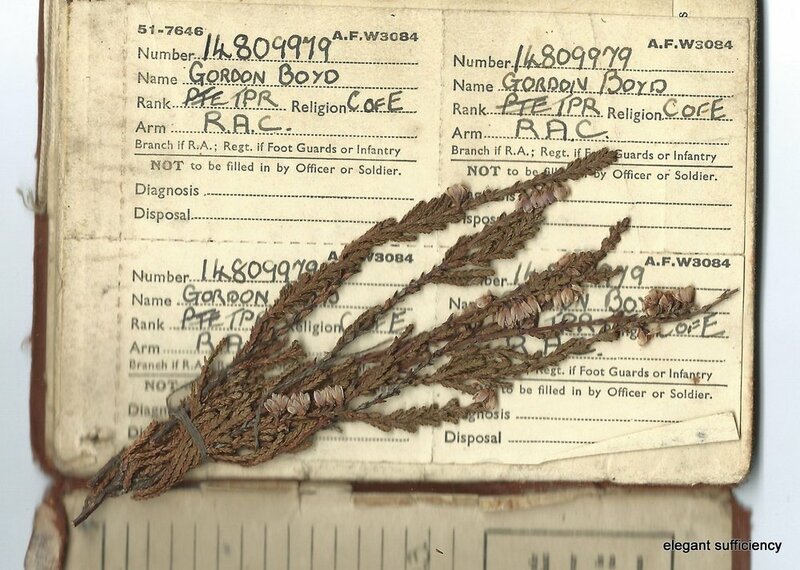 There it was, his Army number, together with a pressed bit of 'lucky' heather, still there all these years later. Before I went looking for more information, I began to note down the information from the back of other photographs, to get an idea of where he had been and when. So, starting with that first photograph, I began my list: Madras, January 1946. Next one, April 7th 1946, North West Frontier, border with Afghanistan. I went through a dozen or so photographs like this, trying to put the dates in order and intending to look up these places on a map. Then I found this. A map of India with the list I'd been trying to put together. He'd recorded it all himself at the time. Kind of familiar, that. When I opened it up and found all the journeys he'd made drawn on the map itself, towns and cities underlined, a tear might just have rolled down my cheek because that's exactly what I do when we are travelling now. When I found a few train tickets and driving permits, I knew that I didn't only inherit my treasure keeping from my Mum. It seems as though both my parents were keepers of such things and I am merely continuing a family tradition. There might be more stories to share as I find out more and build a picture from these bits and pieces, but I have one more thing to share here now. 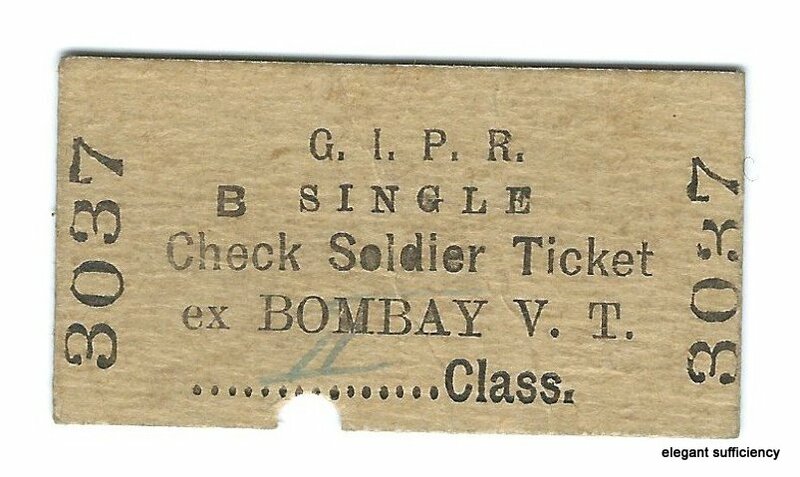 At the back of the Soldier's Record Book, tucked away in a pocket, I found this small leaflet. Only 2 " x 3", it was pretty insignificant until I opened it and read.